1. 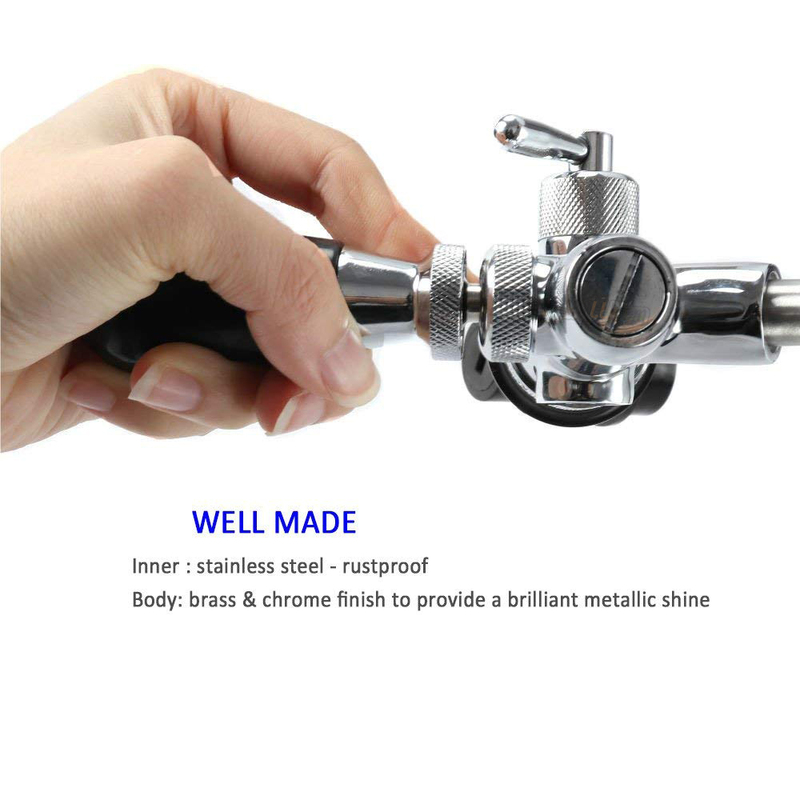 Inner Constructed from FOOD GRADE 304 stainless steel, Chrome plated body. 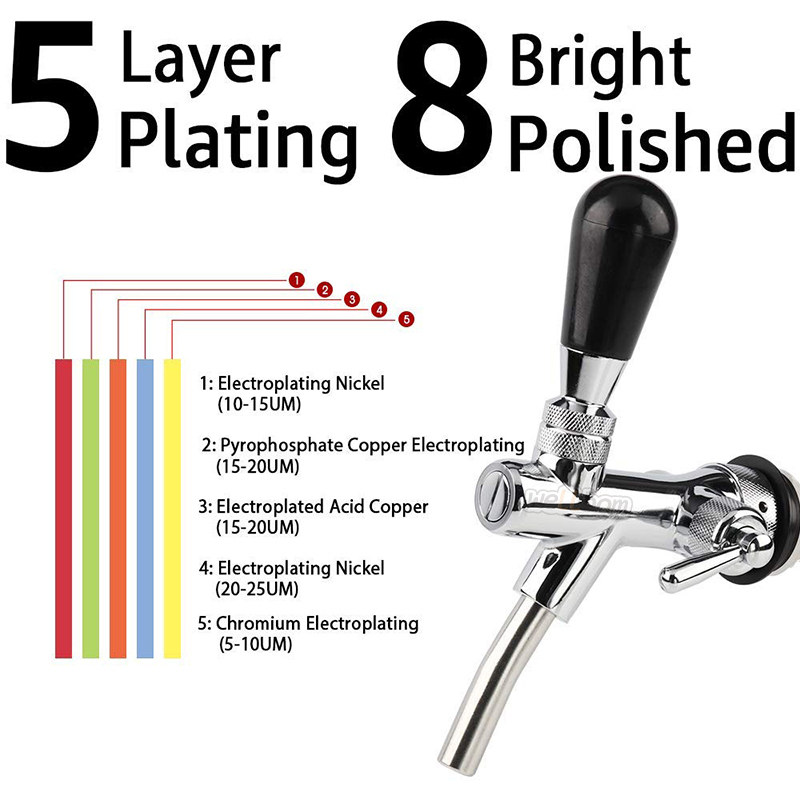 This ultra-durable material won’t pit or tarnish, and you’ll never have to worry about your beer being tainted by a gross metallic taste. 2. 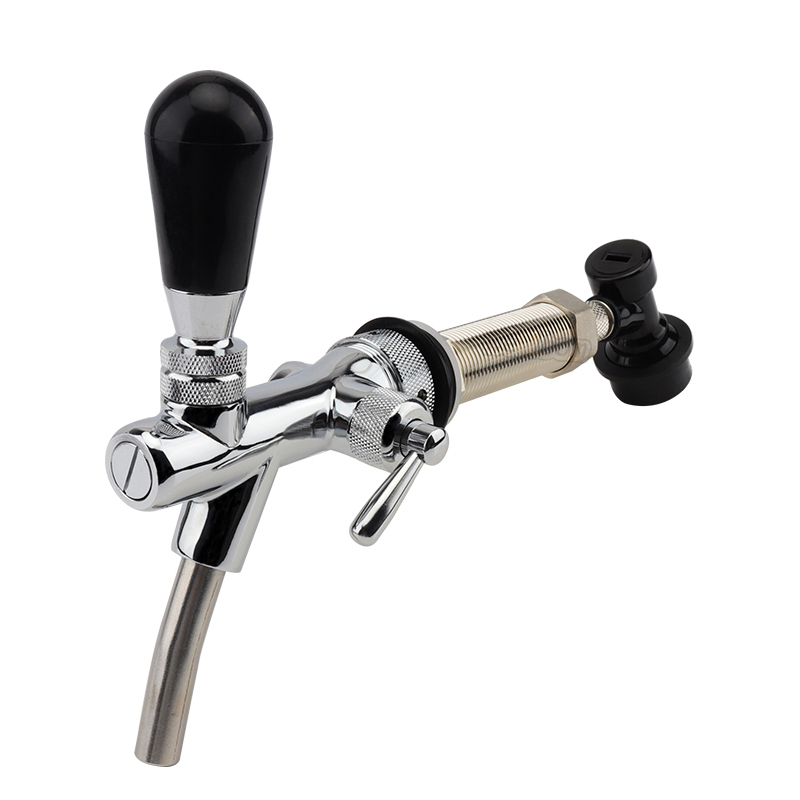 You can use this lever to adjust the flow rate of beer to avoid excess foam. 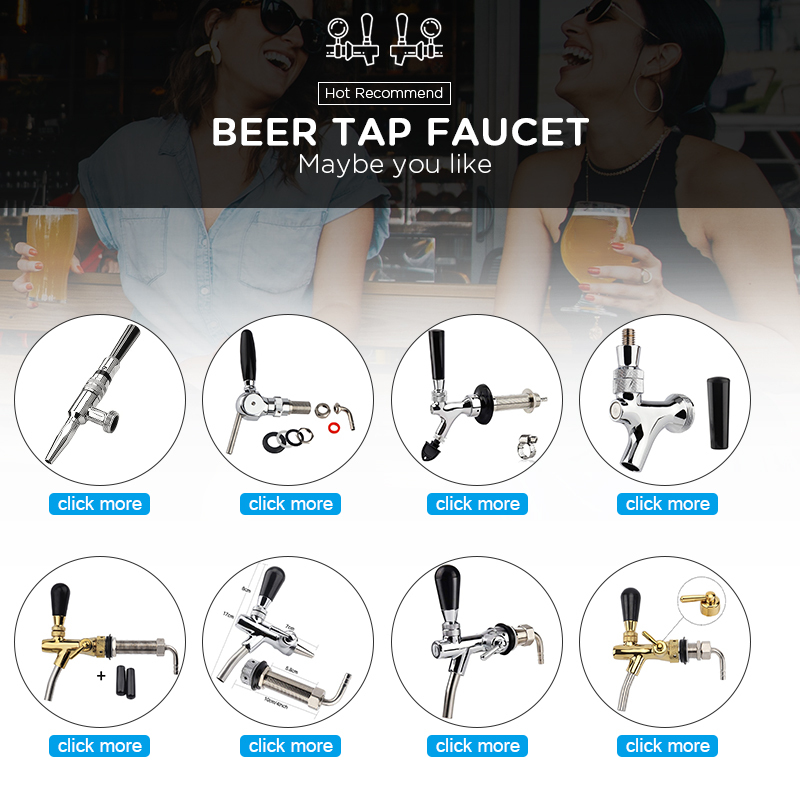 This is especially useful for hard-to-pour beers, if you’re serving a wide variety of styles, using frosty mugs, or serving sampler glasses. 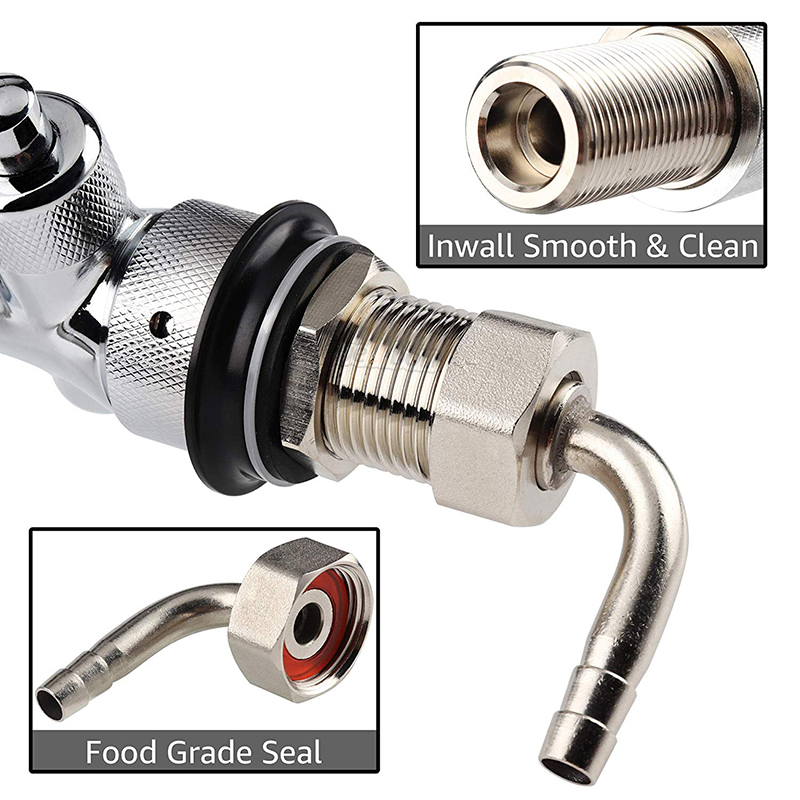 3.Connect it directly to a beer or soda keg .Use this keg faucet adapter assembly to make your keg more portable (or just to get away from that picnic tap). 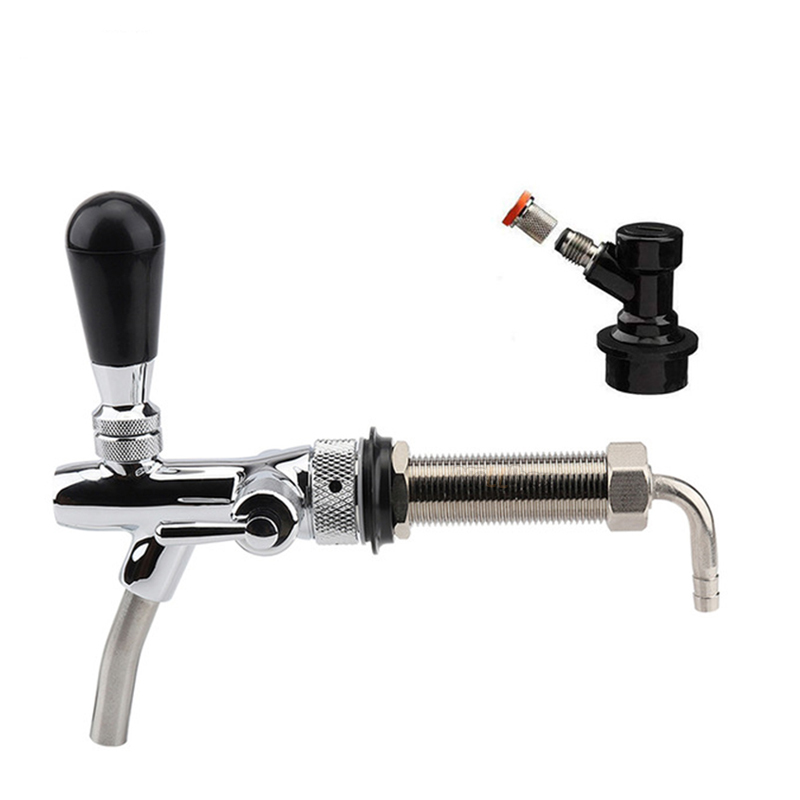 SHENZHEN FPY TECHNOLOGY CO.,LTD is a professional Manufacturer & Exporter of Homebrew Stuff. Our headquarter is located in special economic zone Shenzhen, factory located in Dongguan.We provide high quality products and reasonable price for our customer. 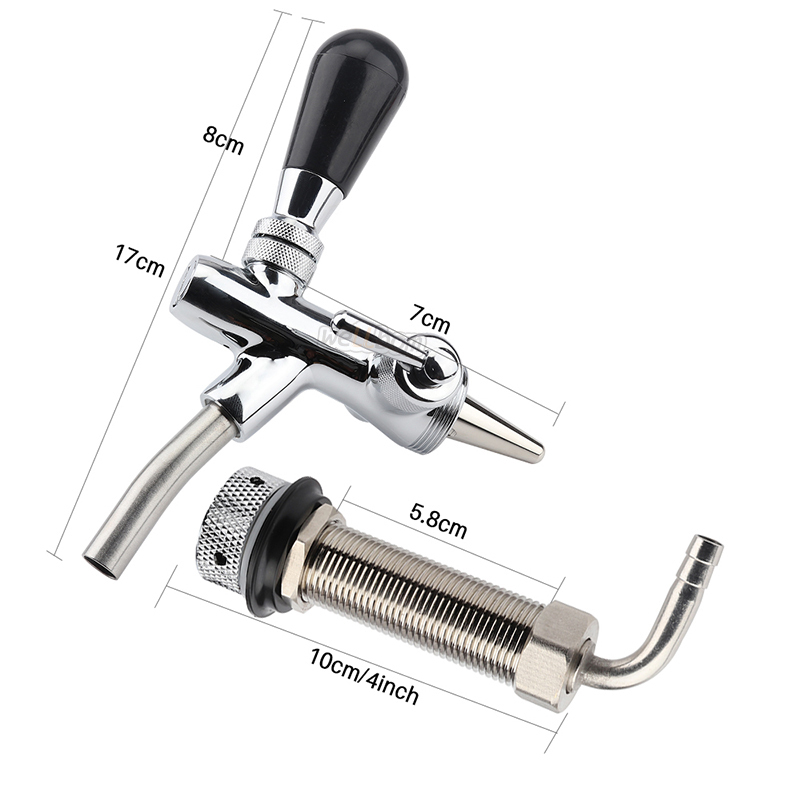 Therefore,our products won high praise from foreigner and sold in America,Russia Britain,France,Germany,Italy,Belgium,Canada,Australia,Ireland and Switzerland... etc. very well. We are also looking forward to supplying our product for other markets,develop new products ceaselessly and improve the process for the external of products.we provide high quality service for our customers.We hope to establish the good business relations with customers through sincerely connection and cooperation.The aim of our company is the quality and prestige first.We sincerely welcome the co-partner from domestic and abroad. 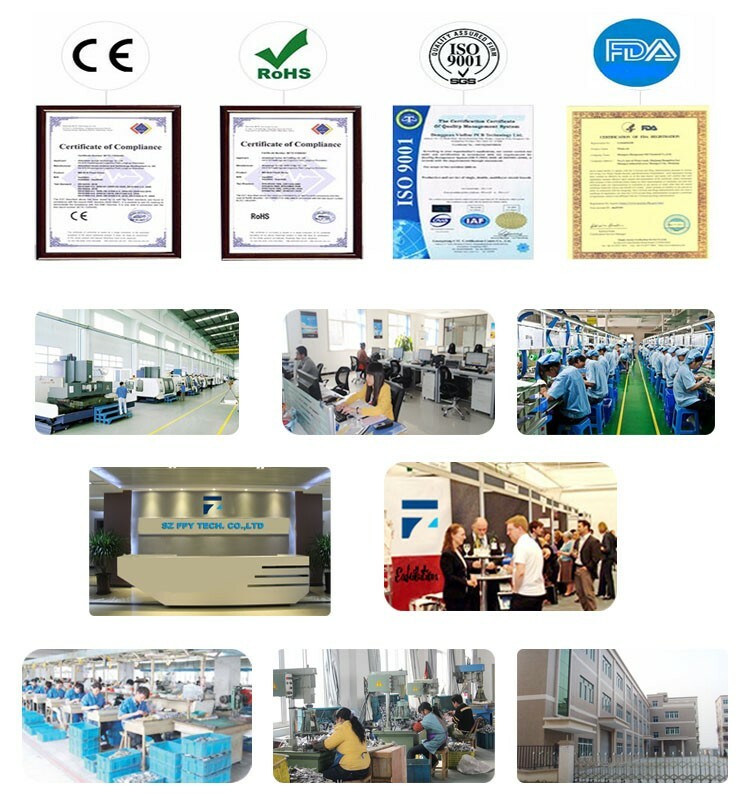 Q: What is ShenZhen FPY Technology Co., Ltd? Q: Can you help us doing shipment combine ? A: If there are above 50% goods order from us ,we can free to help you in combine shipment from SHENZHEN and give customers in one stop service. Besides we cooperated with big transport company many years,we can help u get the cheapest shipping cost by Express/ Air / Sea. Moreover, we can also help Russia clients do clean customs and shipping cost lower than 3usd/kg. Q: Can you seek similar items which are not available on your website ? 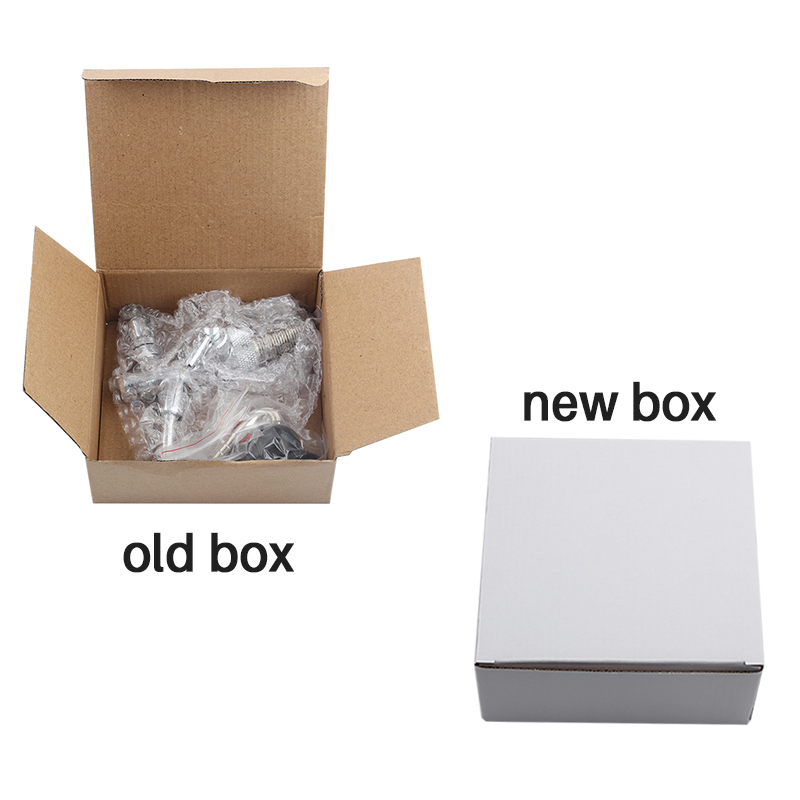 Q: Can you help us design our OEM package? 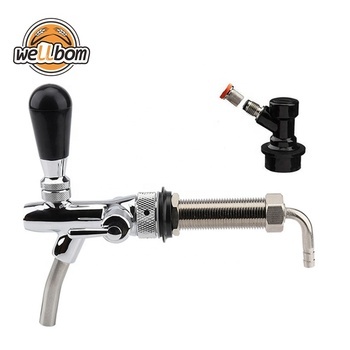 Shenzhen Wellbom Technology Co., Ltd. The supplier is ranked number 9 by transactions data in Barware. The supplier is ranked number 18 by responses data in Barware. The supplier is ranked number 7 by delivery data in Barware.